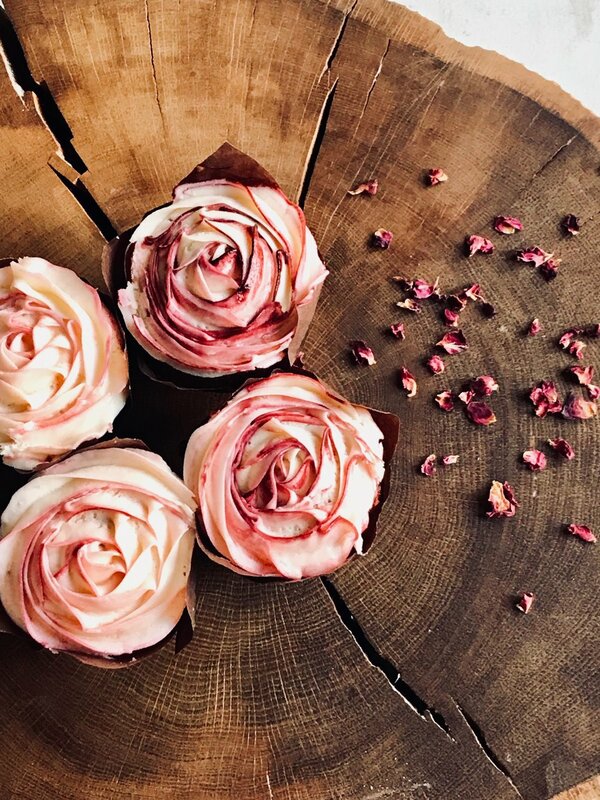 Founded in 2015, the Wild Flour Cake Company has risen from Jessica’s kitchen table to a custom-made bakery on Timsbury Farm in Bath. After working in a variety of coffeeshops, Jessica realised that the cakes were often heavily reliant on flavourings, preservatives and sugar. With support from the Prince’s Trust charity, she began her mission to transform the quality of the coffeeshop cake with interesting natural flavours and free-from ranges. Our first cakes were created around the kitchen table in Somerset, with a hand whisk, Aga oven and grandmother’s cake tins. We grew organically supplying local cafes and farmer’s markets, eventually into our very own bakery on an farm in Timsbury, just south of Bath. We made our home here by turning empty units into commercial kitchens specially designed for our cakes. Whilst we have bigger mixers and ovens now, we still use traditional baking techniques combined with modern thinking to create our handmade treats. There’s a few more of us in the bakery now. We’re not a huge family, but our team is made in the same way you make a great cake, by taking wonderful wholesome ingredients, mixing them all together, and creating a treat that is greater than the sum of its parts. Whether that be love for others or for yourself. We know that life is full of challenges which makes it so important to sometimes stop and take time for a treat. There is no better way to say, ‘I love you’ than with the gift of food. We believe great food starts from choosing the right ingredients. We source the best ingredients from our local area including free-range eggs from The Good Egg Co, or organic flour from Shipton Mill or Sharpham Park organic spelt. We perfer wholesome ingredients and use butter for our non-vegan cakes, never substituting for margarine. We don’t like to give our loved one’s nasty preservatives or chemicals, so we keep it simple and leave these out. Next is choosing the right recipe, so every recipe goes through a long period of testing, retrying and testing again until we reach a beautifully balanced cake that makes people drool. Yes, drooling is the aim of the game. We are a young, experienced team of bakers, brought together by a shared obsession of cake. We are constantly interested in the new trends, ingredients and flavour combinations, but would never make a cake just because it is fashionable, only because it is the best. We adore baking with ingredients that are in season. Naturally your appetite and taste for different flavours changes and we think our cakes should reflect this. Our product list is always evolving to bring in new flavours, whilst our core range of long standing best sellers will always be available. Putting love first means we care about the wider impact we have on people, animals and the planet. We would never use a product with palm oil or put any in our cakes. We reduce our use of plastic whenever possible. All of our packaging is fully recyclable. Our cakes come in simple cardboard kraft boxes which our customers can be give back for us to recycle responsibly. Our biggest joy is seeing groups of friends laughing together in a café around slices of our delicious cake. We think those moments are so important. We create memorable cakes for memorable moments.